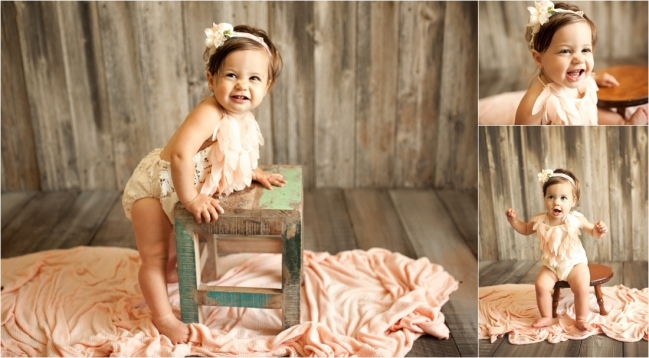 Beautiful Aubrey visited me in studio for her one year photos! Loving my new reclaimed wood backdrop and her gorgeous outfit popped perfectly. I love doing the combo of one year photos with a cake smash at the end. Too much fun!